General TV Channel / PT. 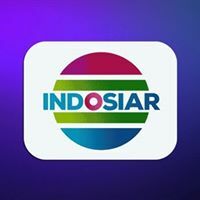 Indosiar Visual Mandiri is an Indonesian television station. It is broadcast nationwide on UHF and is able to be received throughout the Indonesian archipelago on analog PAL television sets, established on January 11, 1995. It is a member company of Emtek since 2011 and is fully owned by Emtek's subsidiary, Surya Citra Media since May 1, 2013. The station has a strong focus on cultural programming, such as a program dedicated to wayang performance. It has recently broadened its horizon with reality shows, talk shows and drama series, particularly "sinetron" soap operas with themes such as love and family.